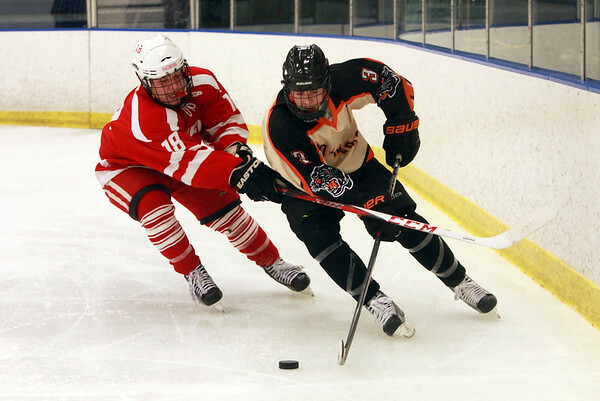 Beverly junior forward Ben Cotreau (3) handles the puck behind the net while being stick checked by Saugus defense Nick Landry (18). DAVID LE/Staff photo. 12/17/14.